Nutrition is very important for cats of all ages, however kittens and geriatric cats have different nutrient requirements than adult cats so an age appropriate food is best. There are so many cat foods on the market these days and so many different groups with strong opinions on the internet, that it can be really overwhelming. As vets we recommend that a premium brand cat food such as Hills’ Vet Essentials or Royal canin is feed for the first 12-18 months of life. A complete and balanced cat biscuit is all that your cat needs however some people like to supplement this with small amounts of quality canned canned food for extra variety. Buy the best cat biscuits (also known as kibble) you can afford. A good quality brand of cat biscuit and free access to water is all your cat needs. Cats cannot survive on a vegetarian/vegan diet or a diet designed for cats, as they have specific nutrient requirements. Premium foods contain no fillers (ingredients that bulk up the volume of the food but are not digested) so the volume of faeces your cat will produce on a premium food is significantly less. They are also less likely to have issues with diarrhoea or constipation. Split your cat’s daily food requirement over at least 2 meals a day. Avoid leaving food down between meals as this can lead to over-eating and weight gain, spoiling of food, issues with pests and can attract other neighbourhood cats. Because premium cat foods contain no fillers the total volume of food your cat will need in a day is smaller. Do not feed too many treats or supplemental foods. Well balanced foods have strictly regulated amounts and ratios of some nutrients (for example calcium and phosphorus) and adding supplemental food to the diet will unbalance the diet. Never encourage your cat to exercise directly after a meal, as this can lead to vomiting or indigestion. 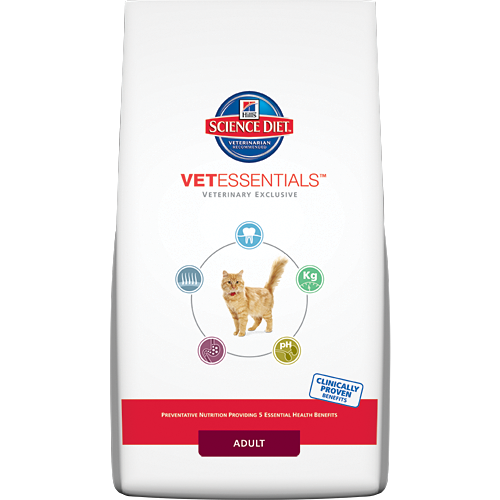 There are a whole range of therapeutic diets available for cats with specific health issues. If your cat has health problems, talk to us about therapeutic diet options.